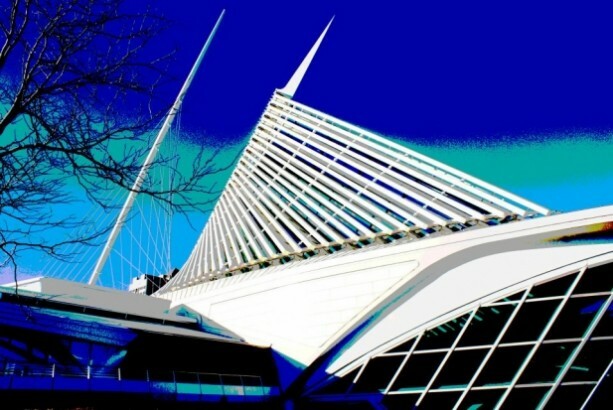 16X20 POSTER Milwaukee Art Museum, Calatrava. This picture was taken on a beautiful sunny day, and then the colors were exaggerated. Different angle, amazing shot.